Visiting Scientist Yuta Itoh, High-Dimensional Statistical Modeling Unit (Unit Leader Makoto Yamada) was nominated for the IEEE Virtual Reality 2019 Best Journal Paper*. 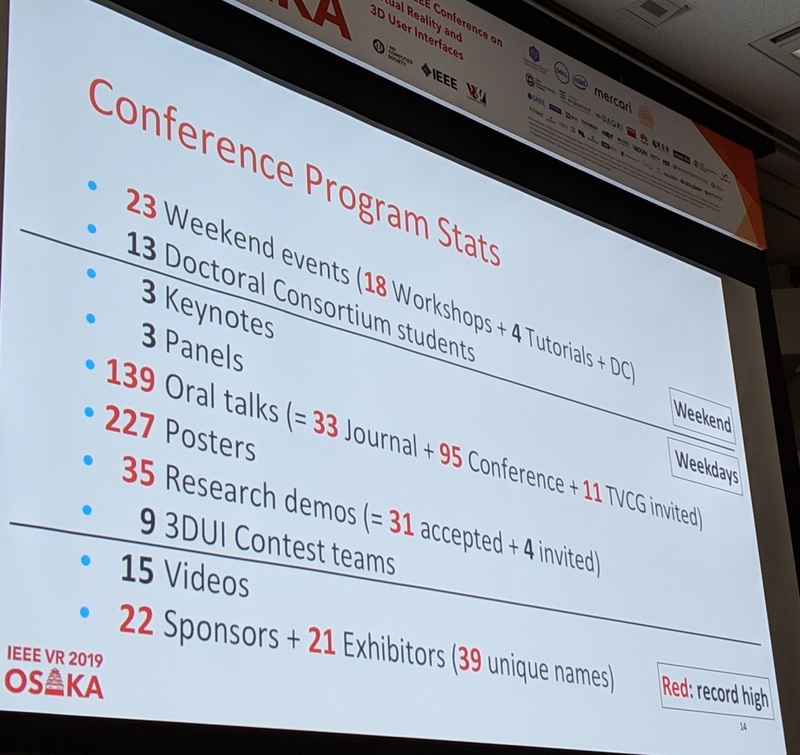 It was announced at IEEE VR 2019 held in Osaka from March 23 to 27. * Best Journal Paper: In IEEE VR 2019, there are two categories: journal papers and conference papers. The journal paper had 142 submissions, 33 were adopted, and 11 were nominated for Best Journal Paper. The conference paper had 442 submissions and 95 were adopted.